This is a optional RPM Rear Skid Plate, intended for use with the Traxxas Slash 1/10 short course truck. 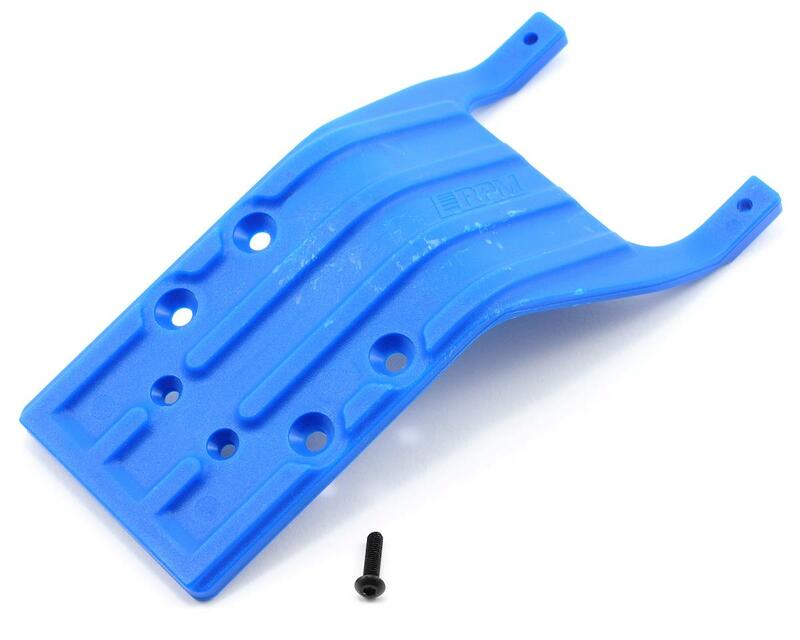 RPM rear skid plates for the Traxxas Slash are designed to eliminate the frustration of broken skid plates and chassis. When a stock rear skid plate fails, it can rip the rear shock tower mounting screws out of the chassis, causing a catastrophic failure usually resulting in the rear end sailing in a different direction than the rest of the truck. With RPM skid plates mounted, that problem will be a thing of the past! 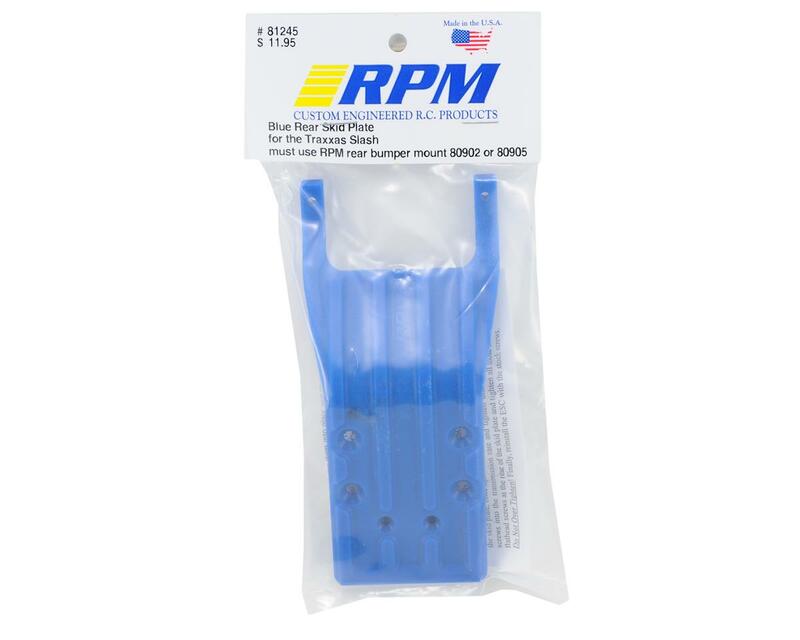 The RPM rear Slash skid plates are completely redesigned, making them stronger and much more durable. The unique design use three chassis mounting points instead of two, triangulating the chassis mounts on the truck, in turn spreading impact energy over a larger area. This is done using a hole already located in the stock chassis, meaning no drilling is required. RPM also eliminated the cross-tube styling of the stock skid plates in favor of a solid flat skid design with a large radius at the transition points to allow the truck to slide over obstacles that would have normally caught on the stock rear skid plate. That means no more direct impacts to the lower rear end of the truck, which is the primary source of a broken chassis. As a final design touch, RPM added four thick skid rails on the rear skid plate which reduces sliding friction while improving the overall durability of the skid plate and the truck. At the tail end of the rear skid plate, a skid rail runs from side to side to protect the lower transmission screw and rear bumper mount while providing a smooth transitional surface.